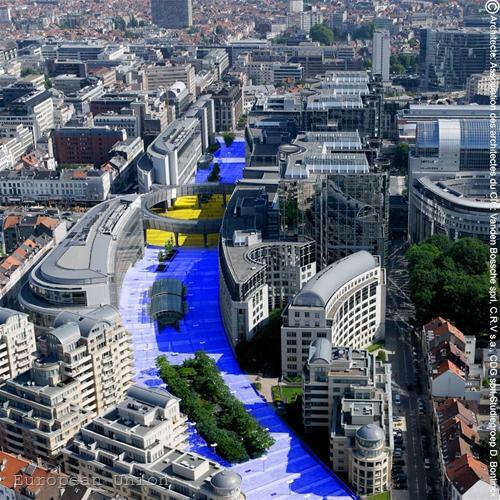 An interesting event took place on August 30 in Brussels. An event that was multifaceted. On the one hand this was the day of Poland but then it turned into the day of solidarity and in the end - it was the day of Europe. What precisely happened? 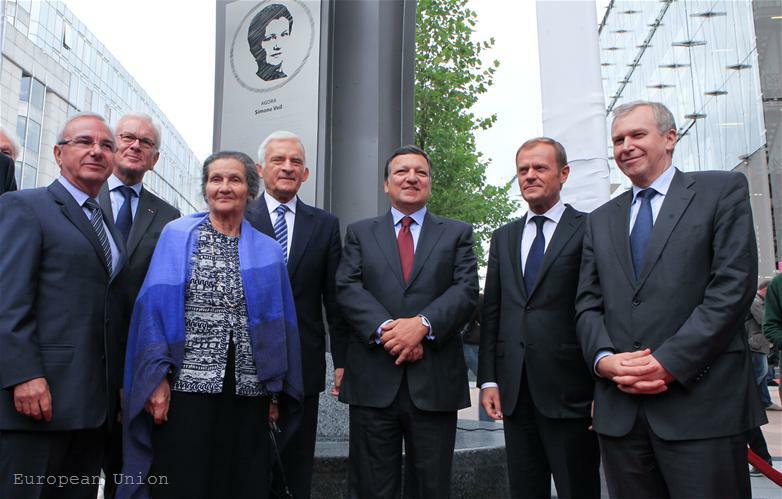 At the broad square between the European Parliament buildings in the Belgian capital a "Solidarnosc Esplanade 1980" has been inaugurated and an agora on the name of Simone Veil, the first president of the European Parliament who survived the death camps during the Second World War. 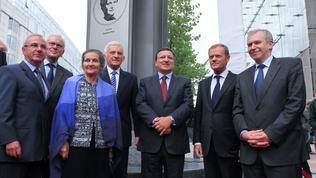 The event was constantly split between Solidarnosc and Simone Veil in order to reach in the end the common conclusion - Europe more than ever needs solidarity and people like Simone Veil in order to come out of the crisis which not only threatens the euro as such but the entire European project. In 1980 in the Polish shipyard in Gdansk the electrician Lech Valesa establishes the trade union "Solidarnosc" the main purpose of which is to fight with peaceful means for freedom and rights. Undoubtedly, it was this trade union that contributed to a large extent to the destruction of the Iron Curtain. Something that was mentioned by many of the speakers yesterday. 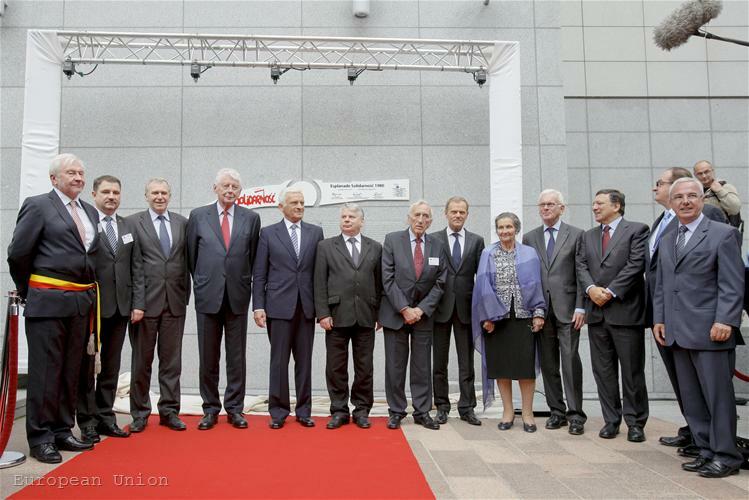 The biggest merit for Solidarnosc's achievement however, is the fact that many of its leaders who led Poland even after the removal of the Iron Curtain still are active in Polish politics. 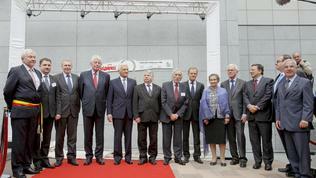 It was frightening to some extent that almost all speakers, after paying tribute to Ms Veil and to the Polish movement for freedom from the communist yoke of the Soviet Union, returned to the challenges that laid ahead the European Union, which created the feeling that the scale of these problems is comparable to those past events. "Our continent was given a lesson of democratic beliefs. A lesson coming from Poland", former PM of Belgium Yves Leterme said and went on that Simone Veil demonstrated courage when surviving as a young girl from the horrors of war to defend the core European values. "Freedom and democracy are never given. They need to be safeguarded", Mr Leterme concluded. "Today in Europe we are looking for sources of strength, we strive to find good energy and I think irrespective of where we are, where we live, what language we speak we feel with our hearts that the true source of strength and the true foundation on which Europe has been built can protect us in the future. Solidarity has been an extremely important lesson, lesson to be learnt. [...] Solidarity means that one day someone decided to help someone who was defenceless, weaker - one for all and all for one. 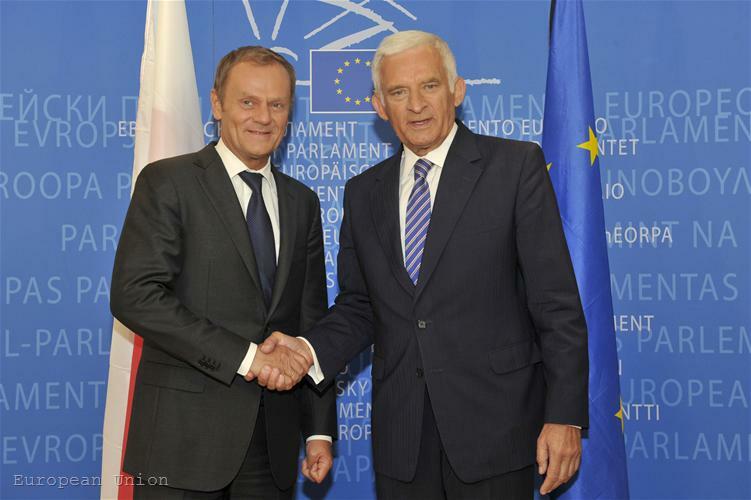 This is my wish for all of you today - go back to the source of solidarity", were Polish PM Donald Tusk's words. 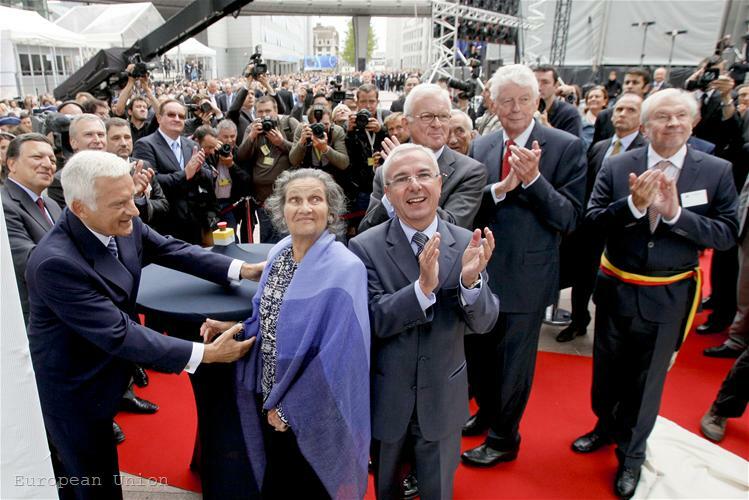 Simone Veil herself started by saying that peace was not given. "Europe has moved forward, has progressed and now here we are today with Europe once again facing a new challenge, in particular in the context of a monetary crisis threatening all market economies. 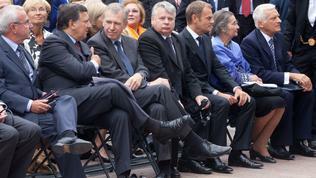 With the euro under threat, the whole European project is in danger. Many member states are over-indebted and are grappling with high levels of unemployment. 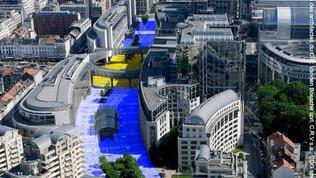 We need more than ever the monetary federalism that the euro represents", Mrs Veil said, wrapped in a light blue shawl. 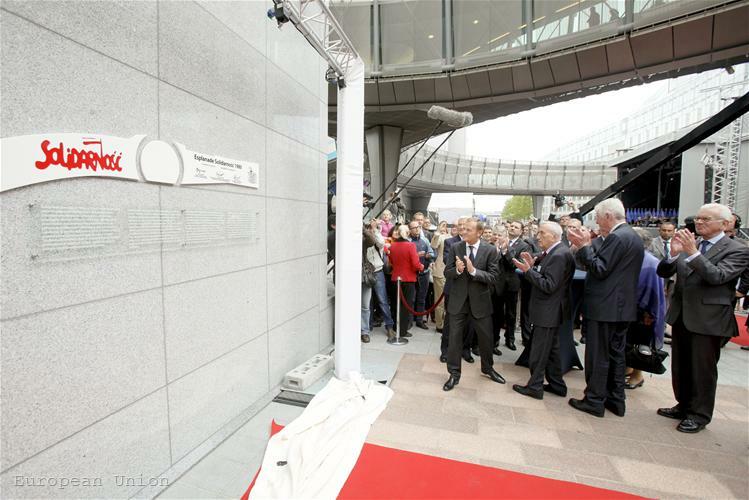 In similar spirit were the words of French European Affairs Minister Jean Leonetti who recalled that the agora was invented by Greece and was the place where people gathered to communicate and share their problems. 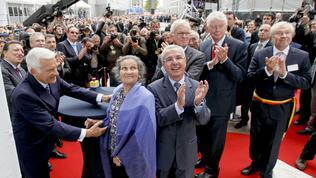 The French Simone Veil is a symbol of Europe. A symbol that, beyond the suffering, forgives, reconciles and rebuilds, brining together people who were divided in the past, Mr Leonetti said. It was Greece that put into question solidarity and what exactly it is. It was its problems and practical default that brought the eurozone on the verge of collapse and forced a lot of people in Europe to ask themselves the question is solidarity worth any price? "Freedom cannot exist without solidarity. 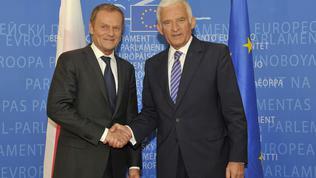 Europe cannot exist without solidarity" said the President of the European Parliament, the Pole Jerzy Buzek. Former Dutch PM Wim Kok spoke precisely about this - that people need European answers to European challenges. People's concerns can easily grow to scepticism, protectionism, xenophobia. "May this ceremony inspire European and national leaders make joint efforts regaining the confidence of citizens to act and stand together". 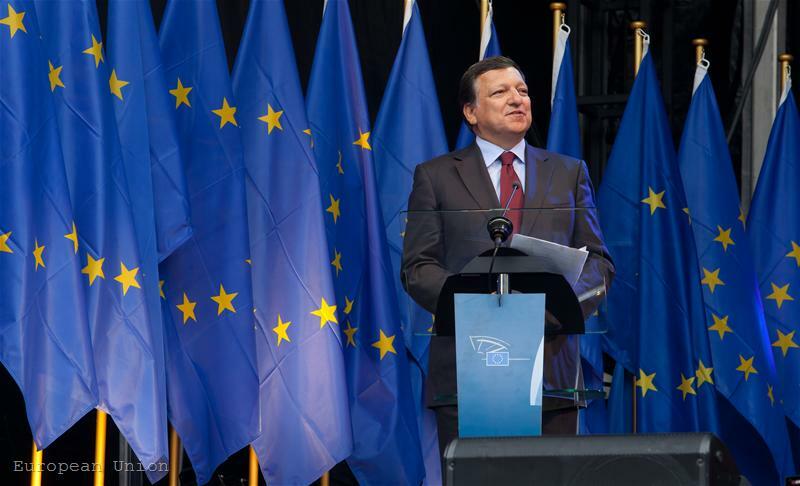 And as if taking the point European Commission President Jose Manuel Barroso sent a very strong message: "Here in Europe we had the absolute evil - racism and semitism, totalitarianism. And is important to remind this past. When we see populism we sure have to be reminded that the history of Europe has not always been bright. It is important to remember that this should not happen again. 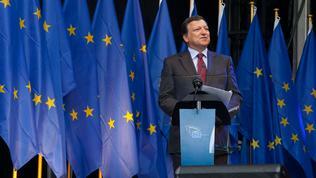 Europe made the worst in the past but Europe made the best - the project of EU, based on freedom and solidarity". The messages of all speakers - former and present prime ministers, presidents of the European Parliament - were filled with a sense of realisation that we cannot and should not turn our backs to the past even with the excuse that currently we have other problems to deal with. Because that past can prove to be a solution to the present. 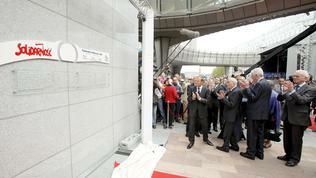 As President Buzek said - "31 years ago I could never imagine that I will be opening here in Brussels". 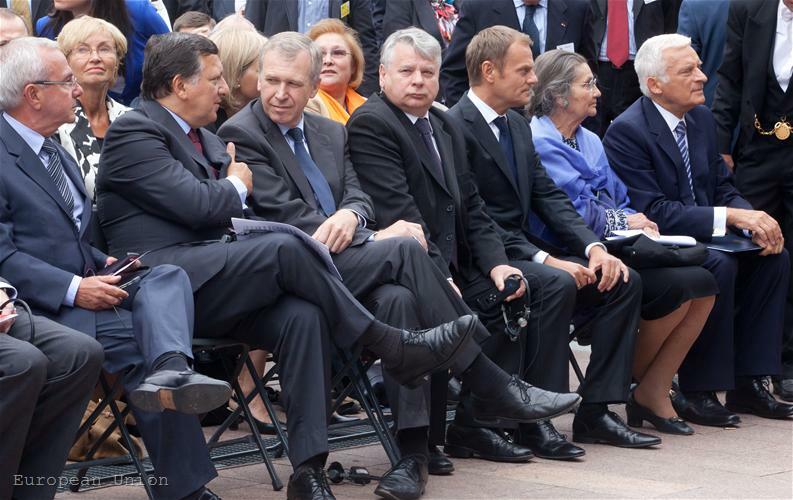 The Poles can be proud yesterday for sure for having taught Europe a lesson and now, under their Presidency of the European Union, they are ready to invest all their experience in order to help Europe remember this lesson and put itself together. It is important though, for all of us to understand what solidarity actually means before reaching out to it. Solidarity also means responsibility. Or, as the Speaker of the Polish Senate said, Bogdan Boruzewicz, "We understand the true value of freedom. We understand how hard sometimes you have to fight for liberty and we do realise that sometimes if you want freedom and liberty you have to pay the price. Sometimes the price of your life". In the current crisis no one needs anyone to pay with his life. Much less is needed against the backdrop of the self-sacrifices that brought us prosperity, welfare and peace for decades. What is required today is for us to cut our spending a little bit and to work harder so that our children and grandchildren do not suffer and do not celebrate a day of deliverance from the generation of the welfaring. "Here in Europe we had the absolute evil - racism and semitism, totalitarianism"